Data Sources Convention Decisions and Voting Records - Bain & Parris. Vote totals are rounded up to the next whole number. Daniel K. Inouye HI U.S. Rep.
At the end of the Democratic primary season in 1968, the party was well along the process towards nominating a candidate. The primaries had been primarily a contest between U.S. Senator Eugene J. McCarthy MN and U.S. Senator Robert F. Kennedy NY, though Kennedy was assassinated near the end of the primary season. 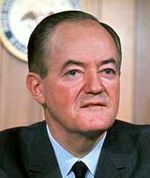 In the background, however, Vice President Hubert H. Humphrey had been collecting delegates from state caucuses. The New York Times reported on 6/16/1968 that Humphrey had 1,600 delegates, or 61% of the total. His nomination appeared certain. The 35th Democratic National Convention assembled in the International Amphitheatre in Chicago IL and met from 8/26-29/1968. There were 2,622 delegates representing the 50 states, DC, Guam, Puerto Rico, the Virgin Islands, and the Canal Zone. Chicago Mayor Richard Daley welcomed the delegates on the opening day of the convention. He vowed "as long as I am mayor of this town, there will be law and order in Chicago." Daley brought 7,500 men from the U.S. Army and 7,500 men from the Illinois National Guard to assist the 11,900 policemen on the Chicago force. He expected a massive anti-war protest during the convention and wanted to be prepared. 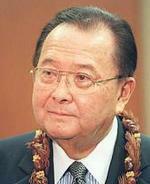 Sen. Daniel K. Inouye was the keynote speaker. A disabled World War II veteran, Inouye warned that the use of force would have to be resisted as long as evil men resorted to it. 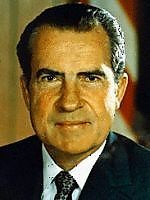 The first major item of business was the appointment of a committee to codify the rules of the DNC. Included in this initial decision was the repeal of the Unit Rule used by some states to guarantee a unanimous vote on roll calls. Credentials contests presented the first challenge for the delegates, as 17 states had at least one challenge. CA Assembly speaker Jesse Unruh moved that the vote on the challenges be postponed, but he was overruled by a vote of 1,691.5 to 832. There upon, the credentials committee recommended, and the convention acceded, to the seating of the "loyal" Democratic delegates from MS. The committee's recommendations in WA, PA, MN, and CT were also seated. The convention voted to seat the "regular" Democrats in TX, where the unit rule was used in the state convention to minimize black and Mexican participation. A complicated situation emerged in GA; the credentials committee recommended seating half of the "party regulars" and half of the "loyal national Democrats." Herman Badillo moved that the "loyal national Democrats be seated; when his motion lost 1,413 to 1,041.5, the convention adjourned (2:45 a.m.). In the evening of the second day of the convention, the credentials challenges continued. The convention approved, in a voice vote, to divide the GA delegation. The state party chairman, James H. Gray (who had worked for Goldwater in 1964) stormed off the convention floor; another bolting delegate attempted to leave with the state banner but was escorted out by guards. [Dan Rather was injured when he tried to interview this GA bolter.] The convention then voted to seat any "regular" Democrat from AL who would pledge to the eventual presidential nominee, instead of two alternate delegations of "national" Democrats. The convention seated three challenged McCarthy delegates from WI and dismissed challenges to the delegations from NC, TN, and LA. Humphrey delegates were seated in challenges in MI and IN. As part of the credentials committee report, a committee was appointed to study the delegate selection process and plan for the 1972 convention. The Rules Committee report was challenged for its failure to recommend the elimination of the unit rule. The convention voted 1,350 to 1,206 to end the unit rule. As the discussion of the platform began, information about the treatment of anti-war protesters outside the convention hall began to spread. A rumor that Edward M. Kennedy was ready to enter the race also made its rounds. The platform debate began at 1:04 a.m., but soon thereafter the convention adjourned for the night. On the third day of the convention, the platform was adopted. The major issue was the Vietnam plank. An attempt to draft a compromise plank failed, and the platform praised the Johnson administration's policies. 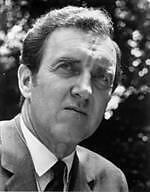 Sen. Muskie felt that the two positions were more similar than had been described but felt that the proposed plank kept more options open for the South Vietnamese. The debate was impassioned on both sides. Speaking for the proposed plank were Sen. Gale W. McGee WY, Gov. Warren Hearnes MO, and U.S. Rep. Wayne L. Hays OH, whose rhetoric started a "stop the war" chant in the CA delegation which continued in fits and starts throughout the remainder of the convention. Delegates arguing for bringing the US involvement to a close were U.S. Rep. Phillip Burton CA, Paul O'Dwyer NY, Kenneth P. O'Donnell MA, and former U.S. Sen. Pierre Salinger CA. John J. Gilligan OH, who participated in the futile attempt to draft a compromise plank, regretted that "we went to Vietnam to help, but now we remain to destroy." The minority plank on Vietnam lost by a vote of 1,041.25 to 1,567.75; thereupon, the remainder of the platform was adopted by a voice vote. When the time to make nominations began, Carl Albert read telegrams from President Johnson and Sen. Edward M. Kennedy declining to run if nominated. The most violent street demonstrations erupted during the nominating speeches. Television coverage alternated between the speeches and the clash between the protesters and the police. The volume of tear gas used against the protesters was considered extreme, and VP Humphrey could smell it from his suite nearby. Several candidates were placed in nomination for President. The NC delegation offered Daniel K. Moore. Gov. Harold E. Hughes IA nominated McCarthy, and Alioto nominated VP Humphrey. 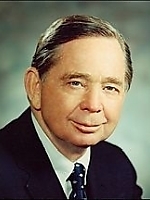 Sen. Abraham A. Ribicoff CT placed Sen. McGovern in nomination, including a statement against the "gestapo tactics in the streets of Chicago" - upon which Mayor Daley started to scream at him. Philip M. Stern placed Channing Phillips in nomination, being the first black man ever placed in nomination for president at a major party convention. The NH and WI delegations registered additional protests against the treatment of protesters outside, and the roll call began. Humphrey was nominated on the first ballot, as shown below. Illinois moved that his nomination be made unanimous, followed immediately by the benediction and adjournment. Delegates from states holding presidential primaries voted Humphrey 53%, McCarthy 35%, others 12%. Delegates from other states voted Humphrey 80%, McCarthy 13%, others 7%. When the convention assembled again, a short tribute to Sen. Robert Kennedy was shown. A 20-minute ovation ensued, broken only because of shortness of time and the need to begin a tribute to Martin Luther King Jr. The vice presidential selection was the next order of business. Fred Harris nominated Muskie as Humphrey's official choice. Julian Bond was placed in nomination, though too young to run. Muskie was nominated with 1,942.5 votes to Bond's 48.5 and 26.75 scattering. Several states, with 604 delegate votes, had passed initially and never cast their votes. Muskie gave his acceptance speech first, making a plea for national unity in a time of crisis. In his acceptance speech, Humphrey was critical of the violence outside the convention hall: "May America tonight resolve that never, never again shall we see what we have seen." He felt that the convention "has literally laid the foundations of a new Democratic Party structure in America." He called for a new day of peace in Vietnam, peace in the cities, and national unity. He would do everything in his power to end the Vietnam War.